If you love stepping out in the latest looks, we can get you on-trend men’s and women’s fashion for a lot less over this Black Friday and Cyber Monday weekend. 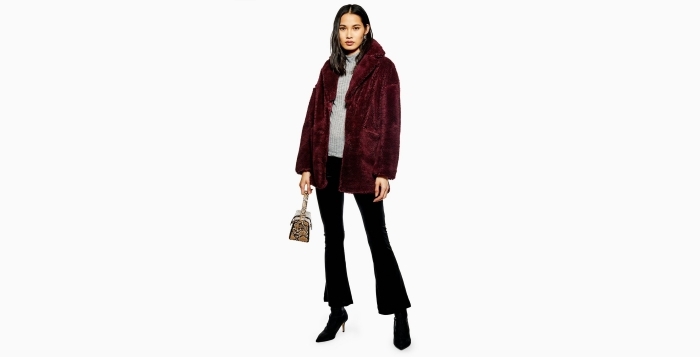 Not only are leading fashion brands Topshop and Topman offering up to 50% off everything on their sites, but we have secured exclusive cashback rates for members who shop with them from Saturday to Monday. As well as offering existing customers an amazing 7% cashback, new customers can earn a staggering 10% when they shop online with Topshop or Topman through us. As you would expect from two of the giants of British high street fashion, you will find all of the freshest looks for the new season at Topshop and Topman, whether you are looking for clothing, footwear, accessories or gifts. With up to 50% off and fantastic cashback savings available, now is the perfect time to give your wardrobe an overhaul. If you are wondering what the best deals available are, we have come up with a list of 10 superb savings available online at either Topshop or Topman. So, keep reading, get saving and enjoy earning cashback. If you are looking for the perfect festive party outfit, this bodycon dress could fit the bill. Whether it is for your office Christmas do or going out for drinks with friends or family, you will look stunning in this black dress with neck trim detailing. 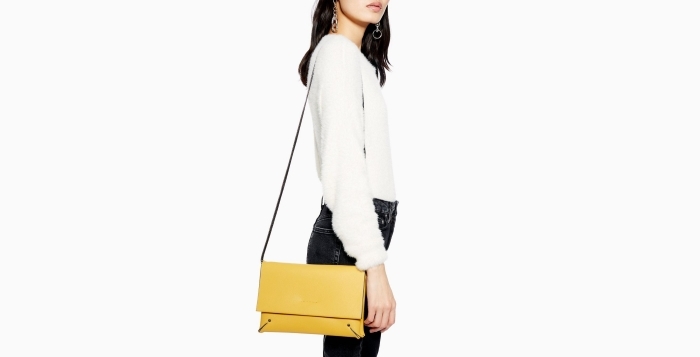 This mustard coloured clutch with shoulder strap is great for drinks after work, nights out or for keeping your essentials in when shopping. Made from 100% polyurethane, this stylish bag can be wiped clean. 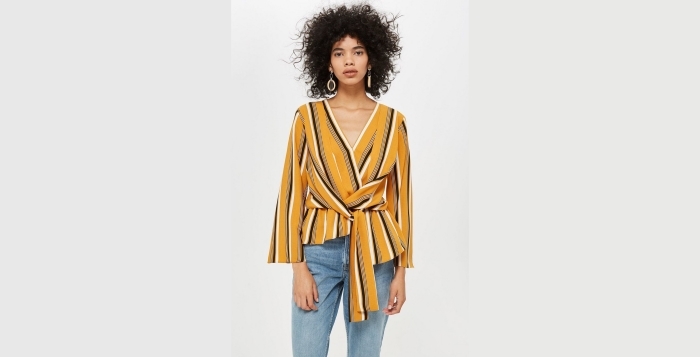 Snap up this draping blouse, with its elegant cut design, and you will be able to nail two Topshop trends at once. That is because it features both stripes and knot front detailing — both of which are must-haves at the moment. It will also be a versatile addition to your wardrobe as it works just as well in the daytime or evening. If you need to invest in one item of outerwear this winter, you could do worse than opting for this grey borg coat. Both fashion-forward in style and warm, it will ensure you look and feel amazing, whatever the weather. 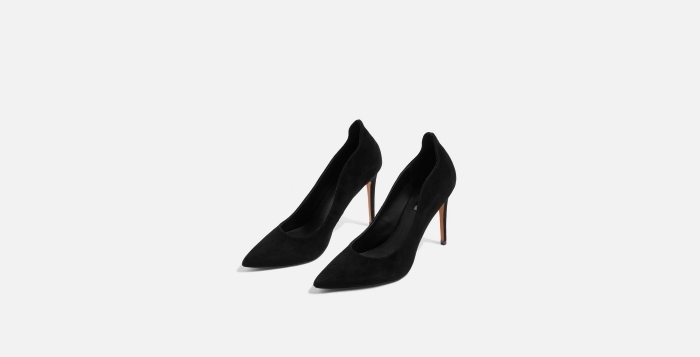 If you are shopping for a footwear bargain, you can go modern, minimalist and glamorous with these pointed black court shoes. Featuring a stylish leather upper, they can be worn with practically anything, making them a must-have option. Wrap up warm and look stylish while doing so with this quilted, classic fit puffer jacket. With a removable hood, side entry pockets, zip fastening and an internal pocket, it is practical as well as great looking. Made from 100% nylon, it is machine washable too. These skinny fit trousers are made from stretch denim and offer mid rise, skinny hips and a tapered leg. Made using 98% cotton and 2% elastane, these trousers, which would be ideal for the weekend, feature a button fly, belt loops and four pockets. Look smart this festive season by grabbing this slim fit, long sleeve shirt crafted with Egyptian cotton. Offering features such as a classic collar shape and a double cuff, it is the perfect choice if you are looking for premium, smart style. This classic fit, crew neck jumper which features a honeycomb texture and is made from 100% acrylic, is perfect for hanging out or going out, and will add a splash of colour to your outfit. Available in sizes 6-11, these casual shoes feature a mixed material upper and a white contrast chunky sole with tonal pops, making them perfect for going to the gym or hanging out with friends.